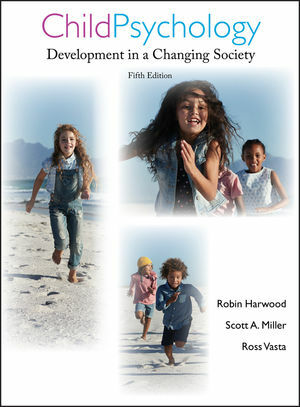 This new fifth edition captures the excitement and relevance of child psychology at the beginning of the 21st century; a theme that is exemplified in the text's new subtitle: Child Development in a Changing Society. In addition to extensive research coverage, each chapter includes an additional section that relates the chapter subject to social and cultural contexts, or implications of research for social policy, public practice, or societal change. This new edition places children, child development, and the contexts in which development occurs at the center of the discourse. Thus, this edition has a strong balance of theory, research, and real-world application. Robin Harwood is a Research Scientist at the University of Connecticut, Department of Anthropology, and a Faculty Associate, Psychology Department, Ruhr University, Bochum, Germany. Scott A. Miller is a Professor at the University of Florida. He is a member of the American Psychological Association - Division of Developmental Psychology. New lead author Robin Harwood. Emphasis on the contextualist view of human development. In addition to discussing effects of schools, families, and peers in separate chapters, contextual factors are also considered.